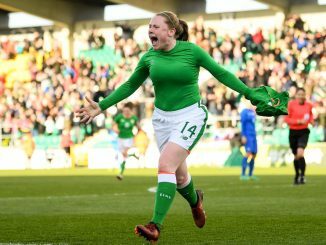 Reigning UEFA Women’s European champions the Netherlands will have to go through the four-team play-offs in order to qualify for the World Cup, after they surrendered top spot in their group to Norway. We have already seen how Scotland qualified for the first time ever, England finished with a 6-0 win and Northern Ireland lost at home to Slovakia but here is how the rest of the groups were completed. Russia were 3-0 winners over Bosnia & Herzegovina but still four points behind Wales. Elena Danilova got two goals in the first 18 minutes and Anna Kozhnikova added the third just before the interval. The Netherlands will have to try to qualify through the play-offs, needing a draw in Norway they slipped to a 2-1 defeat. The hosts made a fantastic start as Isabell Herlovsen and Ingrid Engen scored in the opening 6 minutes, with the Dutch only able to respond once through Vivianne Miedema. A draw would have been good enough for Sweden to seal qualification but they took all three points in Denmark. A Sofia Jakobsson goal at the start of the second-half sealed the win and left the Danes to face the play-offs. Ukraine defeated Hungary 2-0 with two goals in a five-minute spell from Darya Kravets and Daryna Apanaschenko. Germany followed up the crucial 2-0 win in Iceland on Saturday with a dominant 8-0 victory in the Faroe Islands to maintain their record of reaching every World Cup finals. Lina Magull, Carolin Simon and Alexandra Popp bagged a brace each, Leonie Maier and Lea Schüller one apiece as Horst Hrubesch’s side also finished up top scorers in the qualifiers with 38 goals. Iceland could still have made the play-offs with a win over the Czech Republic but were left hugely frustrated by a 1-1 draw. 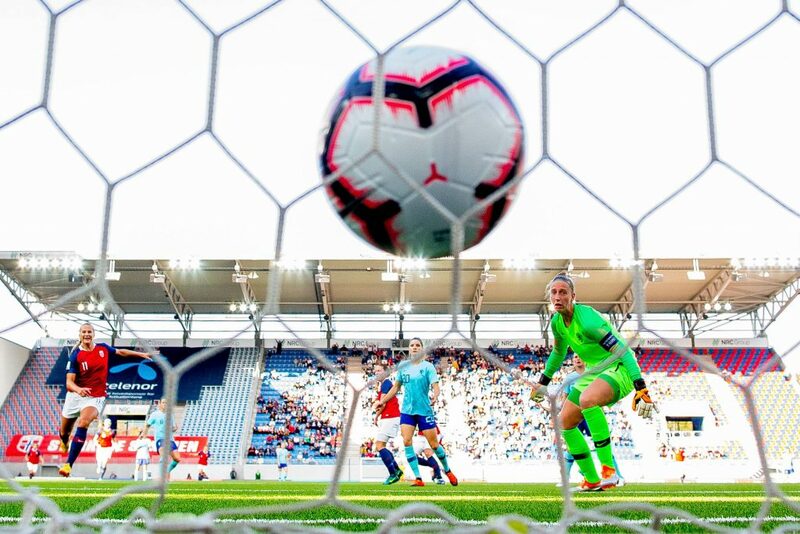 Although behind to a Tereza Szewieczková goal, Glódís Viggósdóttir levelled late on and Sara Bjork Gunnarsdóttir might have won it in dramatic fashion with a stoppage-time penalty but it as saved by Barbora Votíková. Davinia Vanmechelen’s first-half double saw Belgium make the play-offs. The 2-1 victory over group winners Italy came despite an equaliser from Cristiana Girelli. Portugal came from behind to send Romania to a 5-1 loss and take third place in the group. Ana Leite and Diana Silva got a couple each, Melinda Nagy conceded an own-goal, Mara Bâtea having scored 3 minutes in. Spain finished eight points clear at the top with a 3-0 victory over Serbia, Jeniffer Hermoso with a double that included a 3rd-minute penalty and Amanda Sampedro also scoring. Austria took second place with a 4-1 score against Finland but neither side were still in play-off contention. 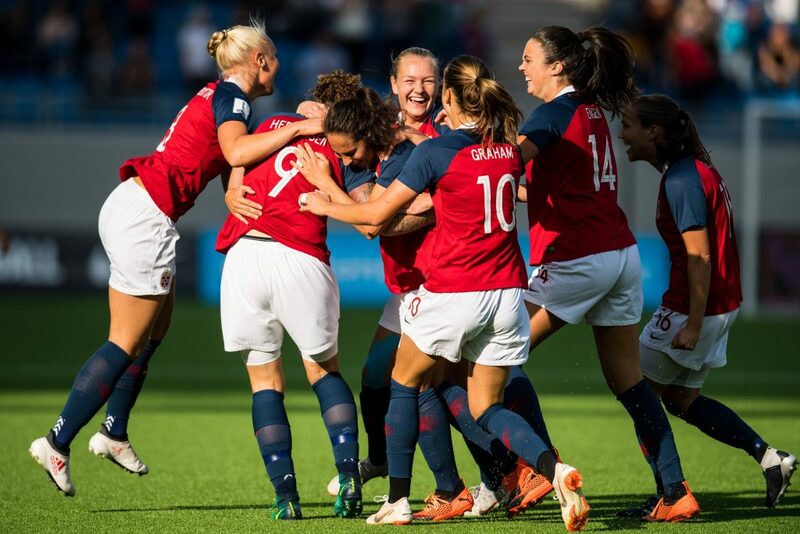 Nicole Billa scored twice, Sandra Zadrazil and substitute Viktoria Pinther also on target, with Linda Sällström having scored on half-time for the Finns. 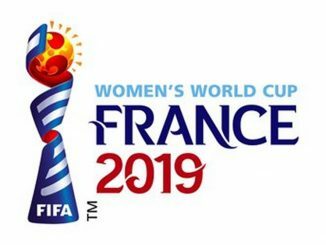 Switzerland, Netherlands, Denmark and Belgium are in the hat for Friday’s 1pm draw, with the play-offs consisting of two rounds of two-legged knockout ties on 1–9 October and 5–13 November to decide Europe’s last qualifier. 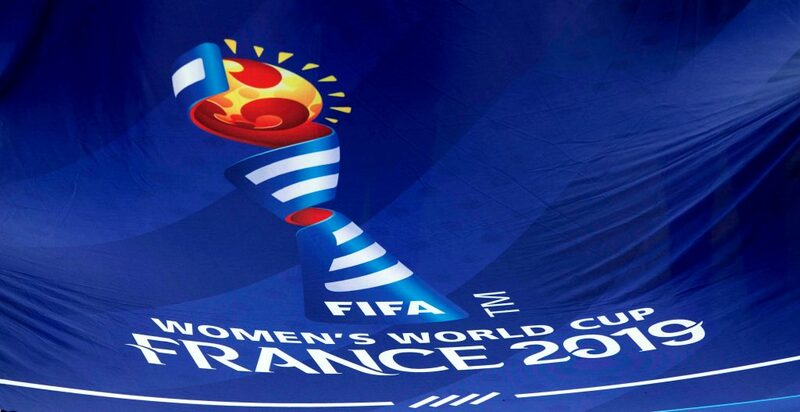 Australia, Brazil, Chile, China, England, France (hosts), Germany, Italy, Japan, Norway, Scotland, South Korea, Spain, Sweden and Thailand have secured their places at the finals. Places still to be decided: 3 from Africa, 1 from Europe, 3 from North/Central America, 1 from Oceania, 1 from play-off between Argentina and 4th-placed North/Central American side.